In the world of B2B, it’s really important to nurture partner relationships and find ways to make it easier for our partners and distributors to satisfy the needs of their (and our) end customers. In this manner, you can create a win-win situation where both your customers (distributors) are happy and their customers (end users) are happy with your brand. 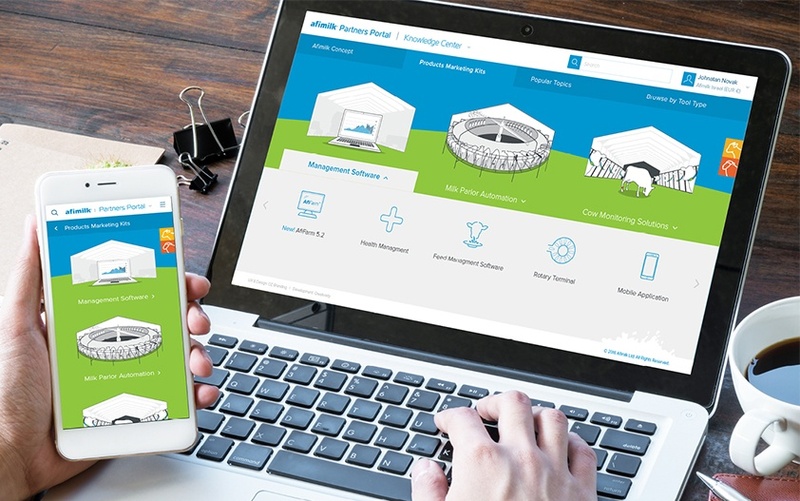 Recently, as part of our ongoing services for Afimilk – a global leader in advanced dairy management technology solutions – we created a unique and creative solution for its partners. With the goal of encouraging Afimilk’s dealers to make more purchases online and give them easy access to marketing materials, we designed an integrated and intuitive online partner portal. Knowledge center – with marketing resources including brochures, presentations, and supporting materials to help dealers promote Afimilk solutions. Configurator wizard – builds price quotations tailored to customer requirements while promoting Afimilk’s preferred solutions. Market gate – intuitive online ordering system tailored for Afimilk partners to encourage online ordering. By designing a responsive and interactive user experience that adds value for its partners, offers instant marketing support, and integrates with Afimilk’s ERP system, we helped Afimilk take their partner engagement to the next level!